TREVOR "The Games Man" is a multiple award-winning entertainer. 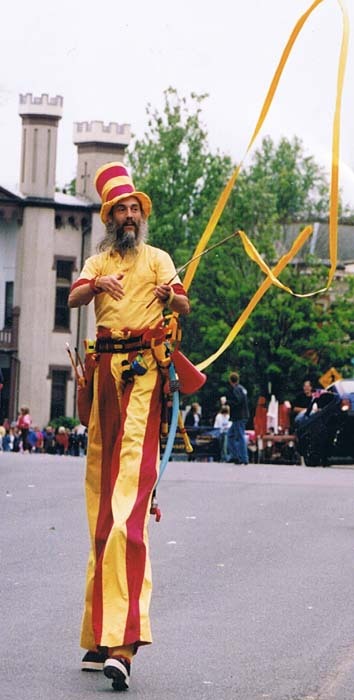 He is a trained and certified New Games Leader, Cooperative Play Specialist, Professional Stiltwalker, and Cooperative Play Educator, with different shows designed specifically for adults, teens, and/or kids, professional Stiltwalking for both indoor and outdoor events, Cooperative Play Staff Development Trainings for adults who are looking to increase their recreational repertoire, and a unique Team-Building Workshop for co-workers who are interested in a new approach to working together. Some Basic Info about TREVOR "The Games Man"
New Games & Cooperative Play?